1. Minerals strengthen the immune system which is the best defense and offense against bacteria, fungus, parasites, and viruses. Any mineral and nutrient you are deficient in will weaken your body and thus your immune system in its defense against pathogens. A weakening of the body is the reason that infection takes place, not just exposure. Many are exposed, fewer are sick. The state of the body is called “The terrain” that matters more than the bug itself. The body has to be stronger to defend and heal itself as no outside sources like antibiotics can be depended upon long term. Sodium, potassium and magnesium are a foundation for energy and absorbing other nutrients and minerals like copper. Copper's ability to control pathogens has been recognized in use of copper water vessels to purify water. Copper is also key to many bodily functions and production of energy, such as, the “electron transport chain” that functions somewhat like electrical wiring in our bodies. Copper “deficiency” is extremely common in people with all kinds of chronic symptoms like candida or fungal overgrowth from a beneficial form to a harmful form. It’s actually not a lack of copper intake, but a lack of utilizable copper due to deficiency of cofactor nutrients like magnesium and vitamin A that bind with copper to utilize it. So people end up with unbounded copper that is deposited in the body in a toxic form. Thus they are dysregulated: deficient and toxic at the same time. Iodine has been used externally as a first aid antiseptic. It can be used things like nail fungus and the brand with alcohol are the best for this use, found very cheaply at pharmacy and grocery stores. Iodine is also taken internally to control infections and energize and strengthen the body in so many ways. Iodine is a general tonic of great proportions. Iodine also depends on other minerals and vitamins to be utilized and if you don’t have those cofactor it can make you feel worse. Iodine also helps detoxify fluoride and bromides from fire retardants and additives to bread that are toxic to get at an underlying cause of bodily and immune systems weakness. Boron is anti-fungal. The laundry powder Borax is a form of boron that is mined and used to wash and scrub mold. Borax makes a good foot soak for foot fungus. Some boron is absorbed by the entire body this way. Boron is a cofactor of calcium metabolism for teeth and bone. Salt is not as often discussed as an infection killer but it is used to disinfect wounds and to preserve food. Salt is also used in fermented products like sauerkraut to control pathogens while allowing beneficial bacteria and yeast to grown. Taking extra salt is often very helpful with fatigue and chronic health problems. 3. Minerals Can Feed Infections. Calcium and iron deposits are extremely common if not intrinsically a part of chronic disease patterns. Minerals become toxic deposits when they are unbound to cofactor nutrients and unbalanced in the system. Mineral toxicity is in epidemic levels with calcium and iron as an underlying cause of many health symptoms and is actually present when people believe they are merely deficient—as I explain next. Calcium and iron are used by pathogens that build defensive shields called biofilms to protect against the immune systems and antibiotics. Calcium deposits are at epidemic levels due to excessive supplementation and deficiency of cofactors especially magnesium. Iron that is unbound and not utilized are deposited to feed infections along with inflammation. This is often missed because the patient’s blood tests indicate anemia, which is actually not a deficiency of iron in the diet, but a deficiency of the cofactor of utilizable copper to bind iron to use it in the blood. Anemia means a person is iron toxic and taking iron supplements that cannot be utilized will make the problem worse. Deficiency and excess or toxicity occur at the same time. Iron has accumulated to high levels because so many foods are fortified with iron and in a terrible form, iron shillings from industry. Detoxifying iron is now necessary to drain the swamp in which the mosquitoes breed, so to speak. To utilize iron strengthen copper utilization with magnesium, vitamin A, and other cofactors of copper. Taking copper supplements is not necessarily going to work because they usually don’t have the cofactors. The issue of iron toxicity may be greatly under-estimated as an underlying cause of many symptoms. It is the underlying root cause weakness that leads to the identifiable symptoms and it is hidden behind the misleading diagnosis of anemia. Morely Robbins has done extensive research drawing upon the research compiled and conducted by Health-e-Iron, which is an affiliate of the Iron Disorders I nstitute and Hemochromatosis Foundation. 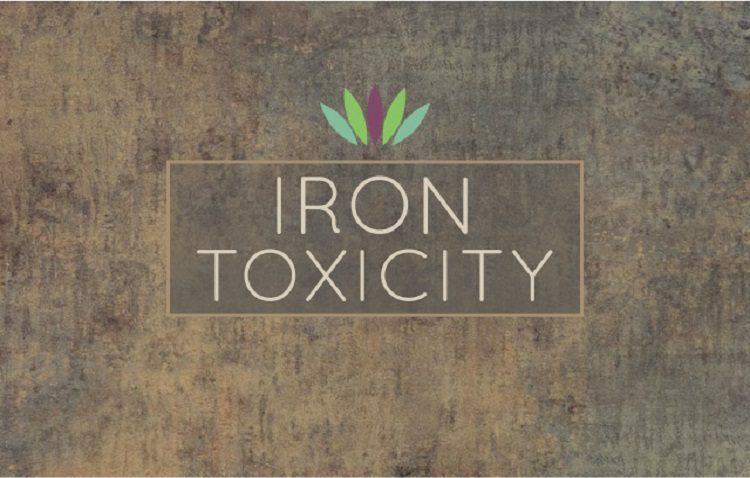 Iron toxicity is a problem deeply rooted in our civilization since even before modern societies with industrial toxicity, as a result of deficiencies of traditional agriculture. This is the basis of blood-letting as a cure that has been viewed as a medieval superstition but is now finally understood and being utilized successfully as one of numerous ways to detoxify iron. Only when the body has all the nutrients it needs can it utilize iron and calcium to strengthen the body and immune system and stop feeding infectious pathogens. Addressing infection is thus not just a matter of killing something foreign, but of correcting the terrain of the body, the whole system to regulate and protect itself. All nutritional deficiencies must be addressed to leave no weak links: minerals, vitamins, proteins, fats, probiotics, sun light, etc. A body is only as strong as its weakest link. The body can begin to heal itself when it has all the nutrients it needs. Then it can also be ready for more aggressive interventions if necessary.